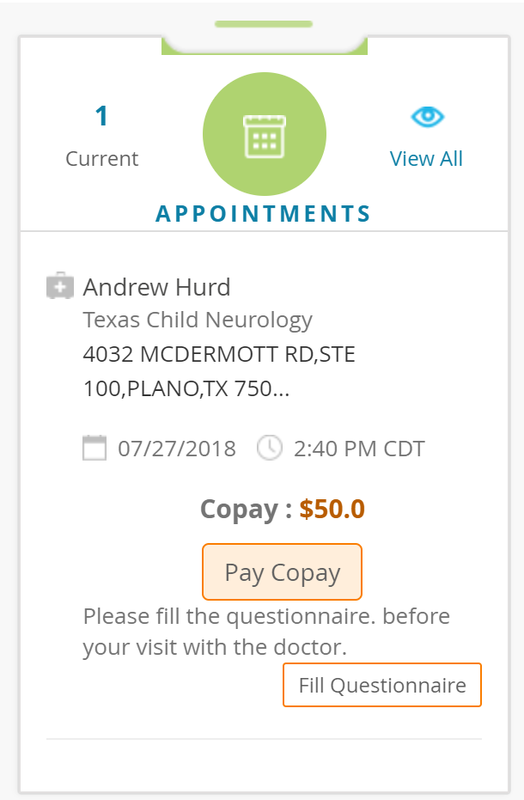 When you confirm your appointment with us, you will be sent an email from Texas Child Neurology with a username and password for the patient portal (unless it has already been sent). Make sure you check your spam if you do not see the email. Once you have your username and password, click the PATIENT PORTAL button on the homepage to reach the patient portal login screen. Input your username and password to login. Once you have logged in, if your child is a new patient, fill out BOTH questionnaires and update your demographic information (e.g. home address). If your child is a return patient, you need only update your demographics.